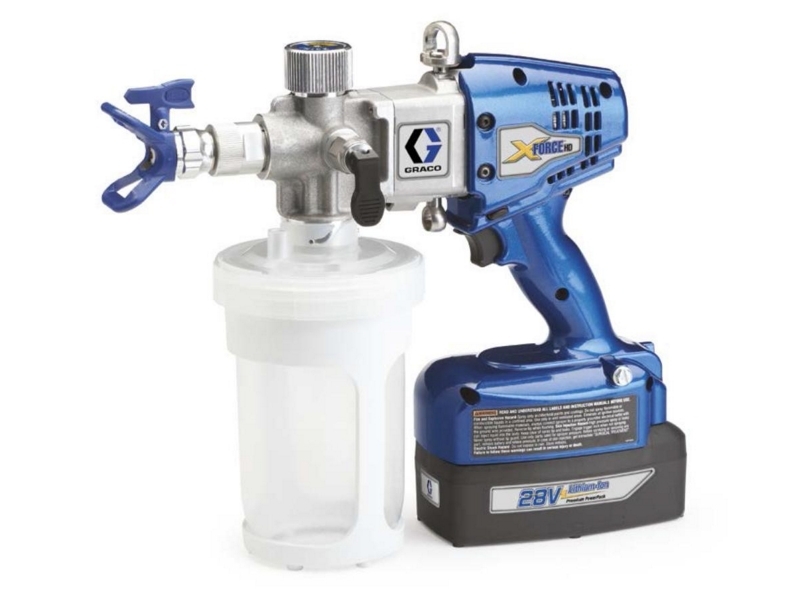 The Graco XForce HD is a heavy-duty cordless airless sprayer. It is ideal for spot repair, touch-up and small jobs, spraying protective coatings and corrosion control materials. It offers high-performance, portability and durability, and it eliminates the need for multiple coats. The Graco XForce HD is also available in a complete kit (RAC X 517 Tip and 30 Mesh filter).